Talking about life insurance is never a fun conversation. But sitting down with an expert, who has your best interests in mind, may help you discover not only why you need life insurance, but that you in fact want life insurance to protect your family, dependents, business and legacy. Quite simply, you never know what’s around the corner. Dying suddenly from an accident, or by unexpected illness can happen at any time. Life insurance will help your loved ones pay the mortgage, bills and other future expenses after you are gone. Nothing could replace the loss of you but planning ahead with life insurance can make things easier for those left behind. In many cases a funeral in the UK can cost upwards of £4000 (Sun Life, Cost Of Dying Report, 2018). At an already difficult and emotional time, your life insurance can cover these expenses without adding undue financial hardship or stress onto your loved ones. Throughout your life, you make sure that those closest to you are taken care of. It is just as important to consider providing financial support for future living costs of any surviving dependents. They will after all, have to go on without you. Make sure they are protected. On top of the already emotional toll your absence creates in their lives, any debts you leave behind, can be a tremendous burden. Life Insurance can help your loved ones cover any financial responsibilities that are left after your death. If you develop a serious illness, you may not be able to get as much life insurance as you require or at all. If you have a terminal illness (such as cancer, heart attack or stroke), life insurance can provide you with financial support. Life insurance can help to protect your business from financial loss in the case of the death of a business owner or partner. Whether providing short-term cash or keeping operations going, life insurance can be invaluable in maintaining the business you’ve worked hard to build. 7. It’s cheaper when you are young. You may not yet recognise the need for life insurance when you are young, but all else being equal, it is normally cheaper and substantially less expensive for a younger person to buy life insurance. This mean the potential benefits of life insurance can be just as large and cost much less in the long run. 8. Peace of mind, plain and simple. No amount of money is ever going to replace the loss of you. But more than anything, life insurance can help to provide protection for the uncertainties in life, giving you the freedom and peace of mind to continue making memories with the ones you love. 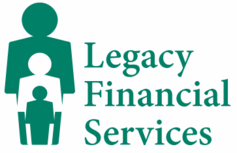 At Legacy Financial Services, we can help you find the right life insurance solution for you and your family. To book an appointment with our advisor please get in touch with us by calling on 01329 313 787 or emailing info@legacyfinancialservices.net!